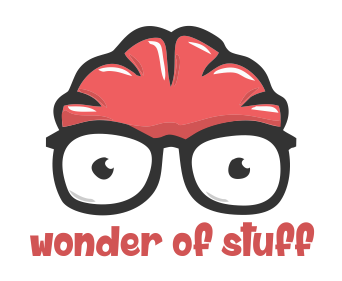 The Wonder of Stuff: Can we multitask? This week we discussed multitasking on the show. We live in an age where the constant checking of emails comes with the territory in many workplaces. In the home, text message notifications and those from social media applications are now common place on our phones, and form part of modern life. We call it multitasking when we think we are doing several things at once, but what we are actually doing is rapidly switching from one task to another. This idea can be traced back to 1954 when James Olds and Peter Milner of McGill University, reported evidence for the existence of the brain's reward centre. In an experiment on rats, the Olds and Milner paper demonstrated the dramatic behavioural effects of reward and aversion. Their finding was that rats would continually press a lever to receive a brief pulse of electrical stimulation in the the septal region of the brain. The rate of reinforcement from the electrical stimulation was at least comparable to that produced by natural rewards, and the paper inferred that stimulation in this brain area was somehow rewarding or positively reinforcing in of itself. This provided the first key evidence for the existence of certain regions in the brain that process reward/reinforcement. (Likewise Olds and Milner also were able to demonstrate that sites in the lower centres of the same brain region could be stimulated to provoke the opposite effect: aversion; the rats would do everything possible to avoid the stimulation, but this is veering off topic). When we reply to an email or check our twitter feed and see some new information, the septal region rewards us. The preprontal cortex is bias towards novelty and so these activities create a dopamine feedback loop which ends up rewarding your brain -much like the rats- for losing focus and searching for that external stimulation. Think Homer Simpson. Attempting to multitask also increases the production of the hormone cortisol which makes us feel stressed, as well as adrenaline and opioid, which puts us into fight or flight mode. This can overstimulate the brain and make it difficult to hold on to a thought. Shifting attention (what we are actually doing when we think we are multitasking) causes the the prefrontal cortex to use up oxygenated glucose, literally using up the nutrients the brain uses to stay on task. The continual shifting we do when rapidly switch activities in this way burns through fuel so quickly that we feel exhausted and disoriented after a short period of time. Ironically, all of this makes us worse decision makers and less efficient when we attempt to complete activities simultaneously than we would be by focusing on doing them in serial - there have many many productivity studies that bear this out. Multitasking is an illusion and there are plenty of good reasons to stop buying in to it.